Notes: This is a character for my miniature teapot shop, whom I acquired from a visit to Maple Street yesterday. This week’s theme is Red, so I thought she would make a good picture for today to fit the subject. 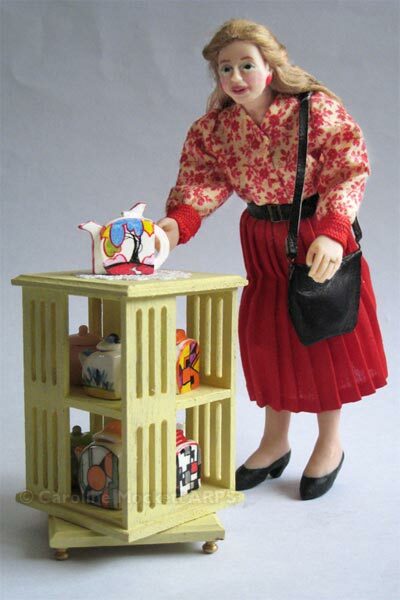 She is very fond of Art Deco teapots, as you can see.